Where to start? Well, not long after last post I contracted a kidney stone & infection, needless to say, very painful and it knocked my training for 6. I pretty much couldn’t do anything for a month and had to pull out of the BPO British Championships in April as I wouldn’t be ready in time. These were qualifiers for the upcoming Europeans so needless to say I was a little gutted! Since then it has been a bit of a slog trying to get back up to previous strength levels. I’ve deliberately gained a little weight alongside training to help my lifts but unfortunately this mean I’m closer to 90kg than the 82.5kg I need to be at the meet and needing to cut 7+kg over the next 5 weeks. Not an impossible task, but I will need to tighten up my diet and possibly water load again despite being advised against it by my GP. I know the risks and will put more into making sure I’m fully rehydrated for the comp – after this meet I won’t be competing till next year so will spend the rest of the year focusing on health and joint rehab/mobilisation, and possibly even move up a weight class next year to stop having to cut weight each time. 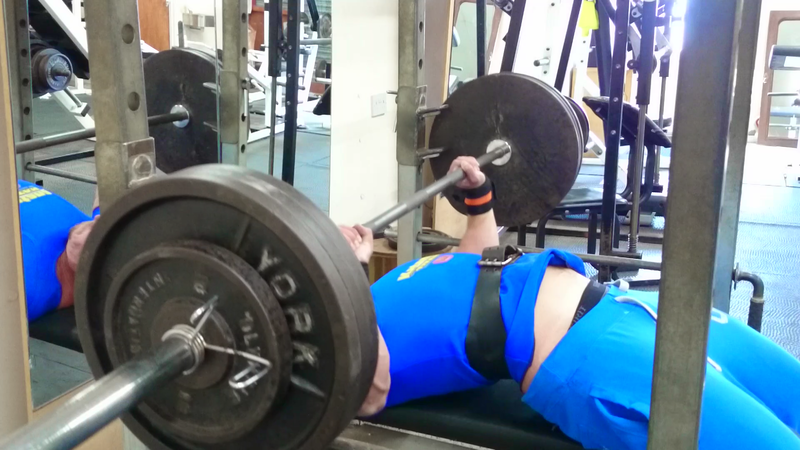 May has gone well, I’ve hit 160kg on Bench, 205kg Deadlift and 227.5kg for squat on max week. My goal is still to hit a 250kg Squat, double bodyweight Bench 165kg and another 5-10kg on Deadlift to take me up to my failed attempt at the worlds last year of 215kg. Got to have goals right?